I cannot tell you how many times someone has come up to me to tell me that my outfit looks like something from an old movie. Or they point out something I would like because it's old Hollywood style. I just really love the fashion (as well as the design) of classic movies. 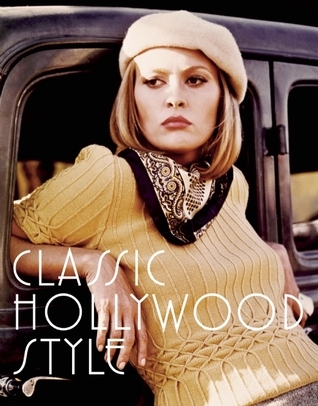 So, a book like Caroline Young's Classic Hollywood Style is right up my alley. This book is nice and compact and is beautiful enough to serve as a small coffee table book but can easily be shelved as well. Basically, you want to read the book, not just look at the pretty pictures. The book is chockfull of great anecdotes and trivia bits. It's a really good choice for someone who is either into fashion or into classic films or both. There are no spoilers so if you haven't watched one of the films discussed then the movie won't be ruined for you. There were only a couple films I wasn't interested in but for the most part each film was a delight to read about. I hadn't realized how iconic certain outfits really are and how we identify certain films by those very outfits. The wife-beater on Marlon Brando, the white negligee on Elizabeth Taylor, the red windbreaker on James Dean, the white flowing dress on Marilyn Monroe, the green curtain dress on Vivien Leigh, etc. I don't even need to mention which outfit went with what film. You automatically know what it was just by the image. I thought it was interesting that Young decided to end the list with 1968 when the Hays Code was put to an end. Young claims that with the end of the Hays Code there was a more towards realism because now filmmakers had more freedom to show what they wanted on screen. So the lack of realism in designer fashioned masterpieces didn't fit the new era of film. Designers became more like shoppers rather than artists. This is why fashion in film these days isn't as important as it was back then and why so many of us mourn for the style of old Hollywood. 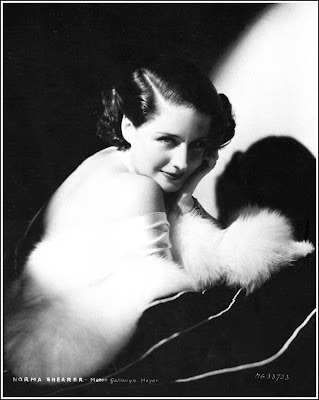 Norma Shearer WAS the Queen of MGM. That was her actual title. Movie stars were often given titles or tag lines that were used in the promotion of their movies. Norma Shearer was Queen of MGM, Clark Gable was King of Hollywood, Sterling Hayden was "The Most Beautiful Man in Movies", etc. Norma Shearer was the Queen of MGM and no matter how much this author loves Joan Crawford it's not going to change the fact that Joan Crawford hated Norma Shearer because Shearer was the Queen and Crawford wanted the title for herself. The author tends to favor Joan Crawford featuring her more times in the book than any other actress. Joan Crawford was very influential to fashion with the clothes she wore on film. It was quite common for stores to start carrying Joan Crawford inspired pieces for the masses. However, NORMA SHEARER WAS STILL THE QUEEN OF MGM! There were a couple other instances of the author making similar statements but the others seemed more based on fact rather than this Joan Crawford one. There were no Norma Shearer movies in the book. While Norma Shearer wore amazing clothes I don't think she was as influential in fashion as Joan Crawford so I understand her absence. But I'm still offended by the statement. However, the book is very well-researched with an appendix full of sources including interviews, newspaper articles, press releases, biographies, production notes, etc. Let's just hope that the author and publisher can fix that Joan Crawford line to read "in the 1930s she was one of the biggest stars of MGM" which would have been more accurate. If you love Classic Hollywood fashion and are willing to overlook the Norma Shearer-Joan Crawford gaffe, then pick up this book! It's quite a treat. I write a column for a site about fashion in film, and your small review gave me great ideas. I think Norma Shearer had some amazing outfits in her Pre-code movies; The Divorcee (1930), A Free Soul (1931) etc... I wish she wasn't so often neglected - it *truly* puzzles me. Oh man, remember that white, see-through gown Shearer wore in A Free Soul? Gosh, that was amazing! Can you imagine the crew's expressions when she first came out of her trailer/dressing room wearing THAT?! Well if you're talking Norma Shearer I have to mention THE LAST OF MRS CHEYNEY with the great Baz. A neglected movie from a neglected star, and yet it's wonderful. The script is witty, and the chemistry between her and Basil Rathbone s really engaging. Norma was indeed the Queen of MGM. The only star that really could compete with her was Garbo, at least in my opinion. Garbo was the bigger fashion icon of the two, no doubt about that. While Shearer is largely forgotten today, Garbo is still remembered, though probably more for her striking looks than as an actress. Garbo and Shearer were definitely bigger stars than Crawford, at least until the late 30's. Note also that both Garbo and Shearer more or less disappeared from the public eye around 1942 while Crawford just continued her career. All in all Crawford had more screen time and therefore in a way became a bigger film star.